I’m a busy mom. Let’s face it, so are many of you! And I need easy to prepare dinners that the family will love. 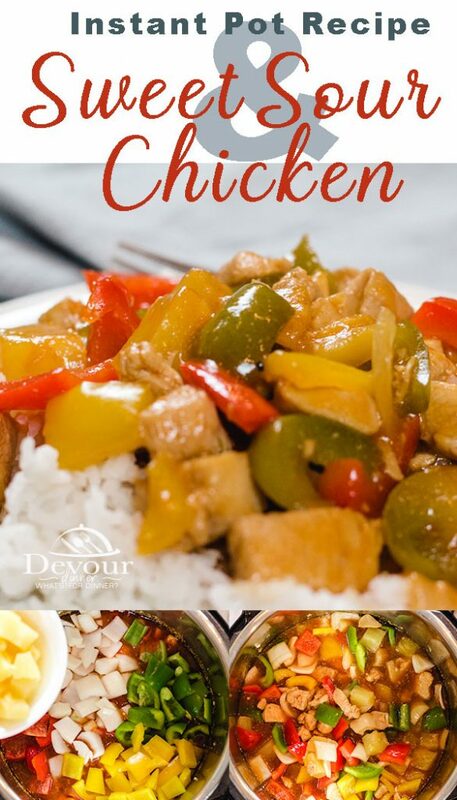 Sweet and Sour Chicken is a classic favorite for many including my family. Something about all the flavors combined to make this sweet yet sour sauce is just good. I personally love white rice covered in sauce. OOhhh yum! 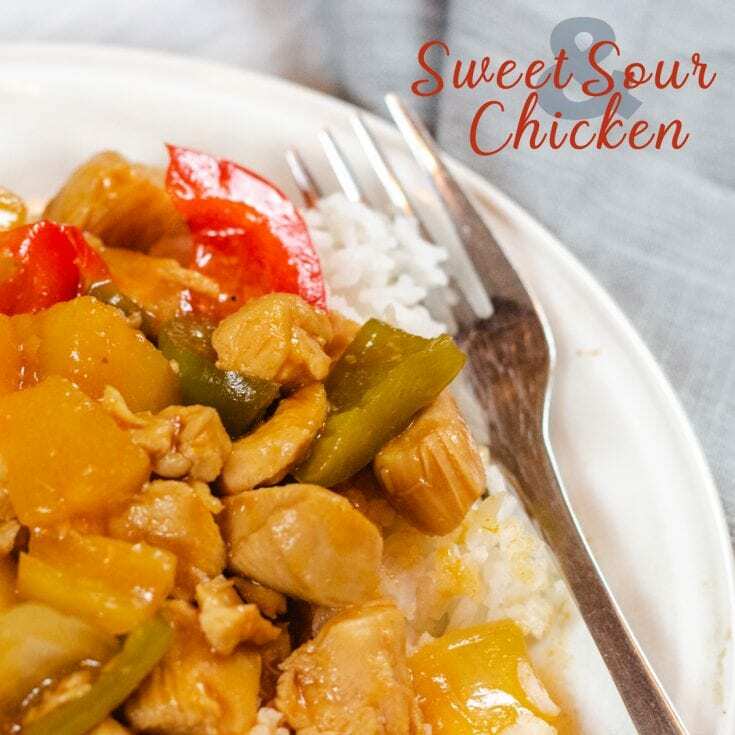 Sweet and Sour is a classic Chinese recipe that has been Americanized and a family favorite. In our home on most evenings, we are all coming and going with our various activities, which often times makes dinner difficult. Which is why I love my Instant Pot. Gone are the days of worrying ‘What’s for Dinner?’. 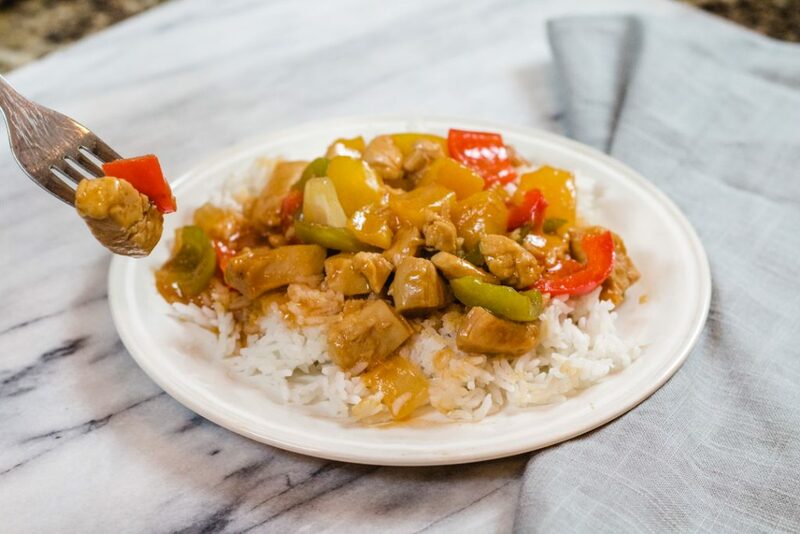 I can easily make great recipes just like this Sweet and Sour Chicken Recipe in under 30 minutes. That’s a mom win for sure! Garnish with Sesame Seeds, and Green Onions. 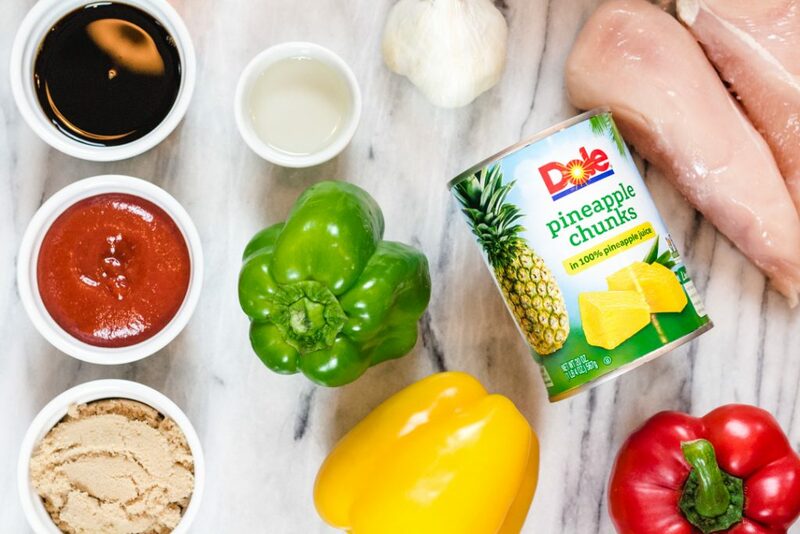 We love a variety of flavors in our meals, so it’s fun to make multiple Take Out Recipes and serve Family Style for the family. Some of our Favorites include Mongolian Beef, Cashew Chicken, and of course Honey Garlic Chicken. Give these other recipes a try, we love them and make them often in our dinner rotation. What is Sweet and Sour? Sweet and Sour is a type of Sauce made popular by Chinese Culture. It combines sweet flavors with sour to create a zingy goodness in your mouth. 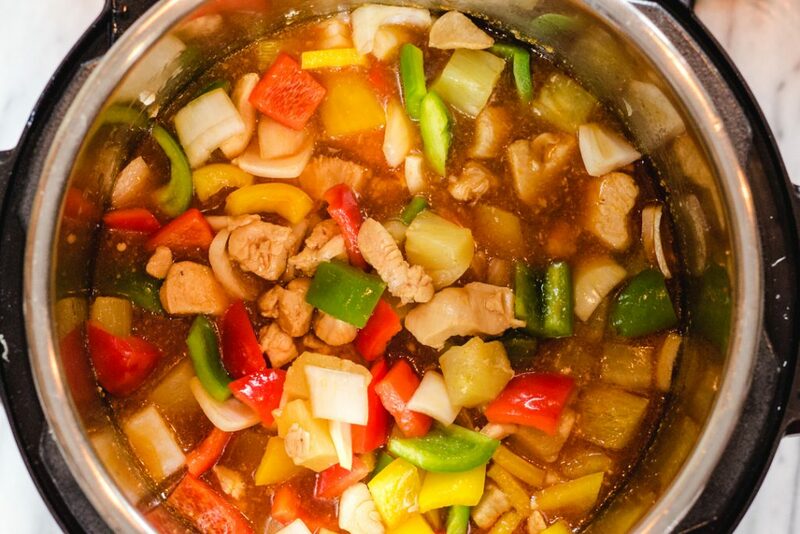 Sweet and Sour can be served with Chicken, Fish, Beef, Pork, or over veggies. What can I serve Sweet an Sour with? 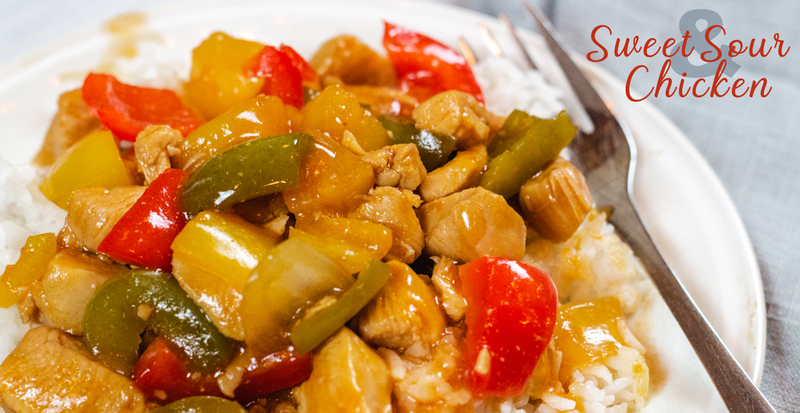 Sweet and Sour Chicken is best served with rice. We prefer white rice as it gives a great contrast in flavors. You can also serve over a noodle or veggies. 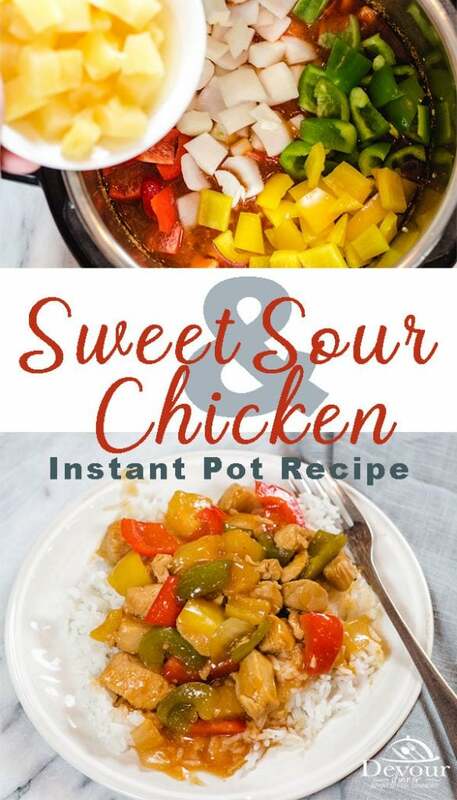 Can Sweet and Sour Chicken be made on the Stove? Of course it can! Cook your chicken in a frying pan following the directions until it is no longer pink. Add the ingredients for the sauce, and reduce heat to a simmer. Cover pan and simmer for 4-5 minutes. Add Bell Peppers and Onion chunks and allow to cook until desired doneness. To thicken sauce add a corn starch slurry. Serve over rice, noodles, or other veggies. 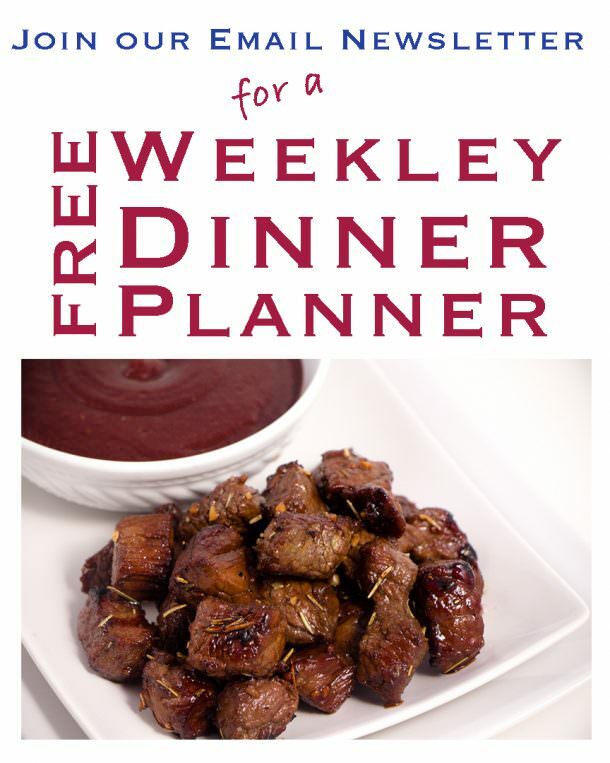 You don’t want to lose this recipe ~ PIN and SAVE for Later! While your chicken and sauce is cooking take the time to cut up your Bell Peppers and Onions and clean your kitchen. It will make your evening a breeze to clean up later. More Amazing Chicken Instant Pot Recipes! 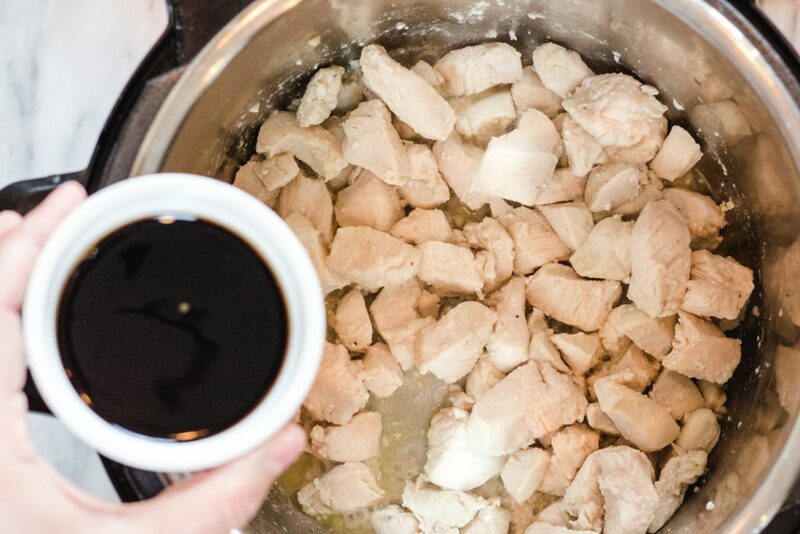 Cut Chicken into 1 in cubes. Add Cubed Chicken and cook until no longer pink. Add Soy Sauce, Ketchup, Brown Sugar, Rice Wine, and Pineapple Juice and stir. Cut up Bell peppers and onion into large chunks. 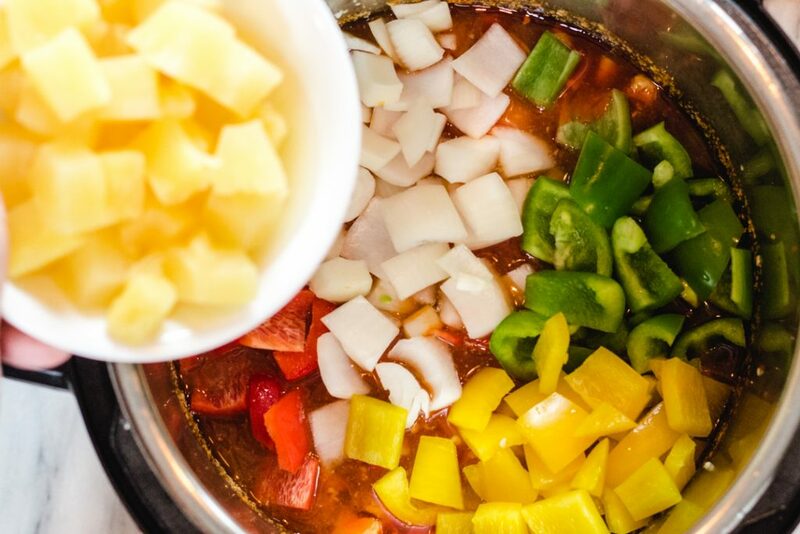 Cut up Bell Peppers and Onion into large chunks while the chicken and sauce mixture is cooking. It will save you time! Substitute: You can substitute any color bell peppers for another color or leave it out entirely. How much does your 3-4 chicken breasts weigh? I get varying sizes in my area. Melissa… It’s so hard with the varying sizes of chicken! For us, 3 chicken breasts feeds 4 people with a little left over. Again that doesn’t help unless you know how hungry my family is. haha. My 3 chicken breasts are about a pound and a half. If I use smaller breasts I’ll use 4 smaller ones. Hope this helps!